Samridhi Mehta from North Dum Dum, LLB Graduate. EXCELLENT ABILITY T.. FAST AND ACCURATE TY.. DRAFTING & DOCUMENTA..
are one of expert skill area's of Samridhi Mehta . 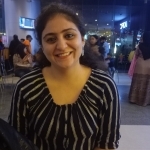 Samridhi Mehta is working in Legal/Law industry.